Bringing together a range of different historical accounts from a wide variety of contributors, this book builds a picture of Stirling’s long history and the role that Christian figures have played in times gone by. From the early saints of antiquity through to the suffragettes of the twentieth century, the characters explored in this book each form their own part of a wider historical tapestry that stretches through the ages. 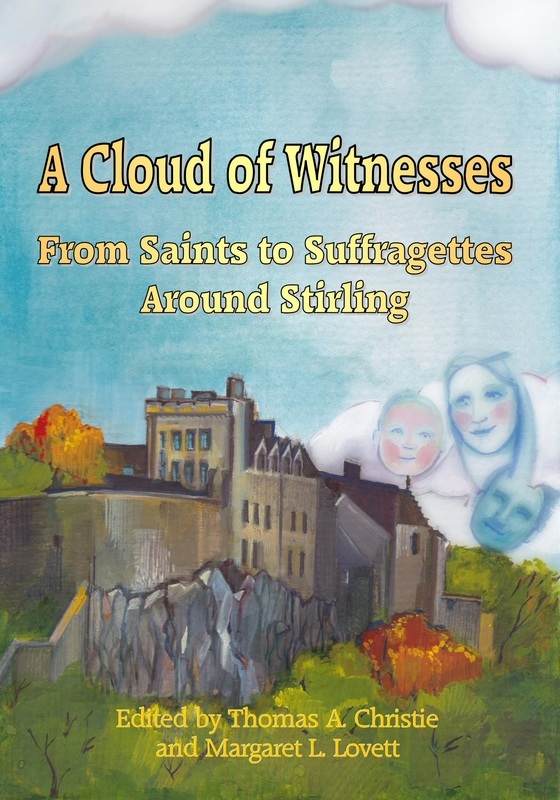 A Cloud of Witnesses is a compilation of eighteen short essays centring on individuals from local history who have come to influence religious faith in the Stirling area between the fifth and twentieth centuries. Discussing figures of regional and national importance, including theologian John Knox, monarch King James VI and I, Victorian academic Christian MacLagan and suffragette Elizabeth MacLean, the anthology features contributions from writers including Dr Elspeth King, the Rev. Canon Dr Alison Peden, Rev. David Robertson and the Rev. Dr Fergus MacDonald. Co-edited by Stirling writer Margaret Lovett and myself, the book is fully illustrated throughout by artist Catriona M. MacKenzie. Additionally, I contributed chapters on historian and Monarchomach scholar George Buchanan and also the Drummond family, nineteenth-century philanthropists and founders of the famous Drummond Tract Depot. A Cloud of Witnesses is available from the Stirling Smith Art Gallery and Museum, the Stirling Faith Mission Bookshop, participating churches throughout the Stirling and district area, and selected retail outlets. The book was independently produced by the Stirling Christians Together group, a community-based ecumenical organisation, in association with the Robert Greene Publishing company. A Cloud of Witnesses was officially launched at The Stirling Smith Art Gallery and Museum on Thursday 27th October 2011. It was a great pleasure to be involved in the text management of Old Stirling by Dr Elspeth King, an historical account of the City of Stirling which brings together a great many photographs from private and public collections to tell the fascinating story of this ancient Scottish Burgh. One of the most respected voices in the field of national and local Scottish history, Dr Elspeth King is the Director of the Stirling Smith Art Gallery and Museum. Formerly Curator of the People's Palace in Glasgow and Director of Dunfermline's Abbot House, her many publications include The Scottish Women's Suffrage Movement (1985), The People's Palace and Glasgow Green (1991), The Hidden History of Glasgow's Women (1993), the introduction to William Hamilton of Gilbertfield's Blind Harry's Wallace (1998) and, more recently, A History of Stirling in 100 Objects (2011). 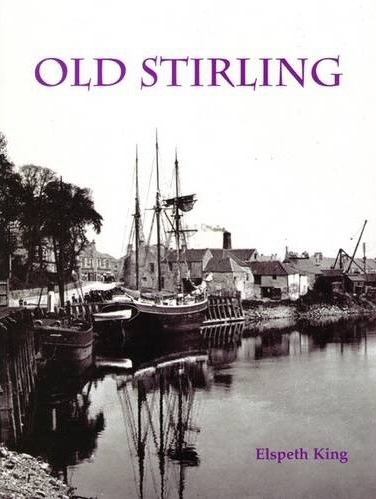 Old Stirling can be purchased direct from Stenlake Publishing, from high street bookshops, and from all good online booksellers. The Stirling Women's Oral History Project is an archive of eighty detailed interviews conducted between 1987 and 1990; commissioned by the Women's Committee of Stirling District Council, it was overseen first by Philip Morgan-Klein and then by Jayne Stephenson. It is a very wide-ranging collection of oral interviews, conducted with women born between 1894 and 1926 who had come from many different social backgrounds and who had been active in a large variety of different occupations in the Stirling area during their respective lifetimes. The archive had been transcribed from the original audio cassette format by editors Alison Giles and Anne Bailey between 2003 and 2004. Comprising six volumes and a separate index volume, and running to almost 870,000 words in total, my involvement with the project was in a copy-editing and text management capacity, including the creation of a new index for the collected interviews. For further details of how to purchase and consult this historical resource, please visit the website of the Stirling Smith Art Gallery and Museum.